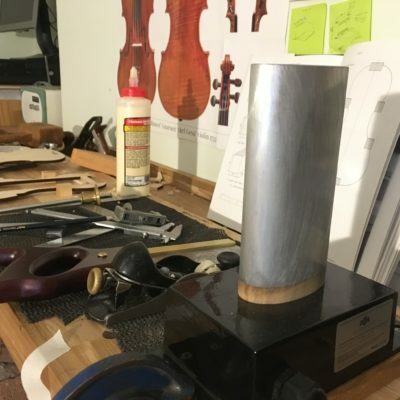 research project around Carleen Hutchins’ New Violin Family, but the bending iron is also a welcome addition to my workshop, as I am now able to carry out more projects at home for the days when I am not in college and it will serve me well when I begin working as a luthier after completing my studies. 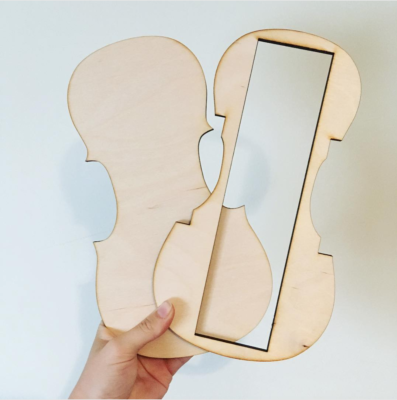 I had originally intended to begin make the Mezzo violin from Hutchins’ New Violin Family, but after reading through much of her documentation I decided I was most drawn to her Treble violin, the smallest of the New Violin Family. 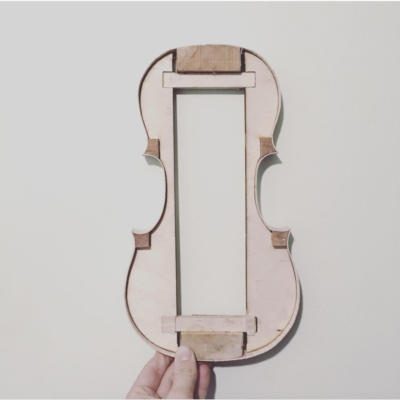 At the beginning of summer I began working on the violin using wood purchased from Alpentonholz Pahler and in the spirit of experimentation decided to have the very tiny mould laser cut. This worked quite well but soon realised I had neglected to leave space for the top and bottom blocks so some adjustment was needed (you can see in the images that I had to cut and place a bar across the mould). I used my bending iron to shape the ribs and linings and was very pleased with the results.